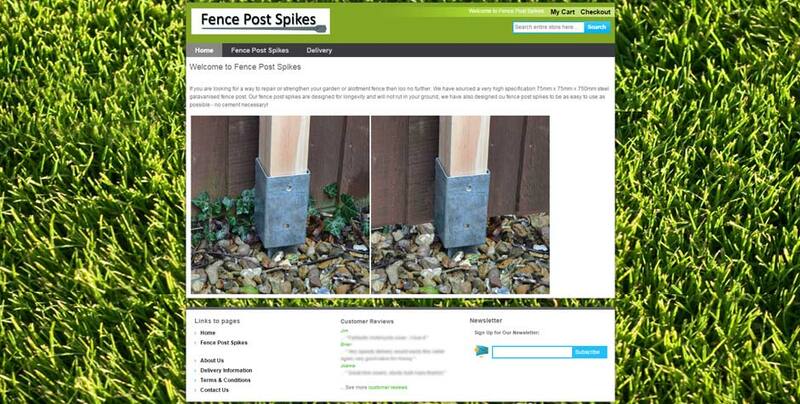 Magneto E-commerce store for a local Leicestershire business who specialises in fencing and Fence Post Spikes. The website covers information and topics from all areas of fence repairing and more. Built using Magento and uses a secure Paypal pro merchant account for credit and debit card transactions. The Magento website is fully PCI Compliant and SSL Secured webstore.